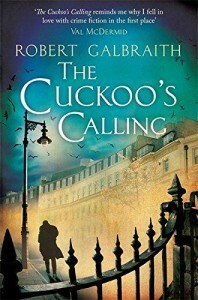 The Cuckoo's Calling - Robert Galbraith - review - What is Kimberly reading now? Part 1 drew me in. Part 4 made me pay more attention to it than college basketball. The best part of the book was the interaction between Strike and Robin. I don't think she's going to last long with Matthew.